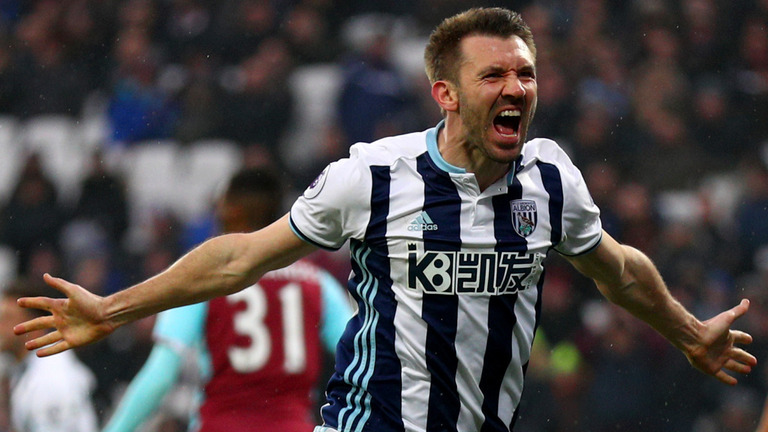 Rangers have once again been linked with a move for former West Brom defender Gareth McAuley, following interest in him as reported some weeks ago. Sky Sources claim the 38-year old veteran stopper is on Steven Gerrard’s radar, after a succession of missed targets for the rearguard including Millwall’s Jake Cooper and Bournemouth’s Jack Simpson. Rangers do lack experience at the back, with the most experienced stopper being 25-year old Connor Goldson, and a real ‘been there done that’ patriarch who has played at the highest levels of the game might be a handy addition on a free. The Northern Irish international was freed by the Baggies recently and would be a fairly modest wage and a handy leader to have – 203 appearances in England’s top flight and many of them as captain is certainly experience Rangers could use at the back, and as long as the wage is in line with Rangers’ existing finances, we see little reason not to bring the former Leicester man in. But only if Gerrard wants him. 38yr old stopper. No thanks. Solid signing! No doubts at all he can do a job! I like Lindsay suggestion. Is he the ex-Partick player? I think he would be a great buy if not too expensive. Ive seen that Barnsley would be looking to get at least £2.5m for him. Yeah, Heard a Few teams are looking at him for January. He’s available for free , West Brom have released him. It’s the wages that would be the issue considering he was on £38k a week. I think we should get in the players we can there is going be a fire sale over there and they going bring in new players we going need more players me thinks.